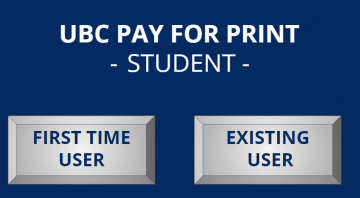 UBC Pay for Print allows students, faculty and staff as well as guests to the University to pay for printing, copying and scanning across campus using a unified system of payment – the UBC Card or UBC Guest Card. 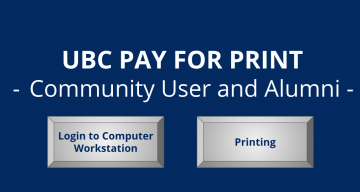 Print jobs can be submitted from labs, public access computers as well as online at http://payforprint.ubc.ca. Click on the image(s) below to learn how to quickly set up pay for print. Click on the buttons to move quickly through the document. All UBC Library branches have photocopiers with black & white, colour and double-sided capabilities. Coin-operated copying is not available. All prices are per page including tax. A page is defined by one side of a sheet of paper. For printing on 11 x 17 paper use web print for best results. Print 11 x 17 pages at the Irving K Barber Learning Centre. Visit the Chapman Learning Commons Help Desk on the 3rd floor for more information. For more information on copy services by staff, see below. The Library will refund photocopy costs due to the mechanical errors of photocopiers or faulty cards, but not operator error. UBC Library cardholders who qualify for Enhanced Services may order photocopying by staff through UBC Library’s Document Delivery service. Rare Books and Special Collections offers copying services to both patrons in the reading room and those unable to visit in person. Please see our Services page for information on fees. Similarly for the University Archives, please see the Copying Services and Fees page. Please take note that there are copyright restrictions to photocopying, printing and scanning materials. For more information, please see UBC Copyright Guide. 6 flatbed scanners attached to Mac workstations in the Chapman Learning Commons, including one express scanning station with a 10 minute time limit. Slide and film scanning attachments are available at the Information Desk on level 3 of the Irving K. Barber Learning Centre. 1 flatbed scanner connected to a Windows computer workstation in Asian Library, Education Library, Koerner Library, Law Library, Music, Art & Architecture Library, Biomedical Branch Library, Woodward Library, Xwi7xwa library. Scanning is also now enabled on many UBC Library copiers. Please note that there is a 2¢ per page charge on these machines and an unecrypted USB drive is required. 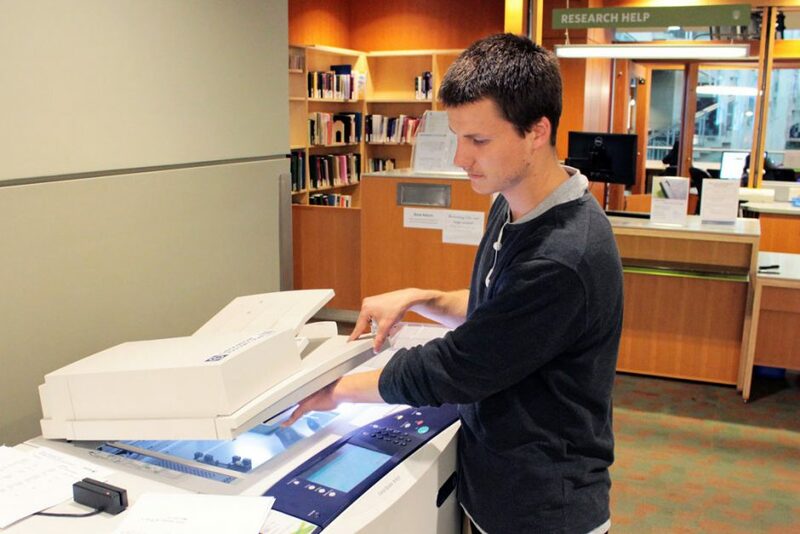 A large format flatbed scanner is available on level 4 of the Music, Art & Architecture Library. It is capable of scanning documents up to 12.2" x 17.2". 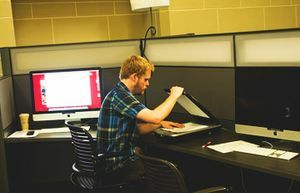 A large format flatbed scanner is available on level 4 of the Music, Art and Architecture Library. It is capable of scanning documents up to 12.2" x 17.2".